This week I hope to finish my UFO for February: Mexican Stars. Have the blocks completed just have to put together, add borders and sew down the little triangles. 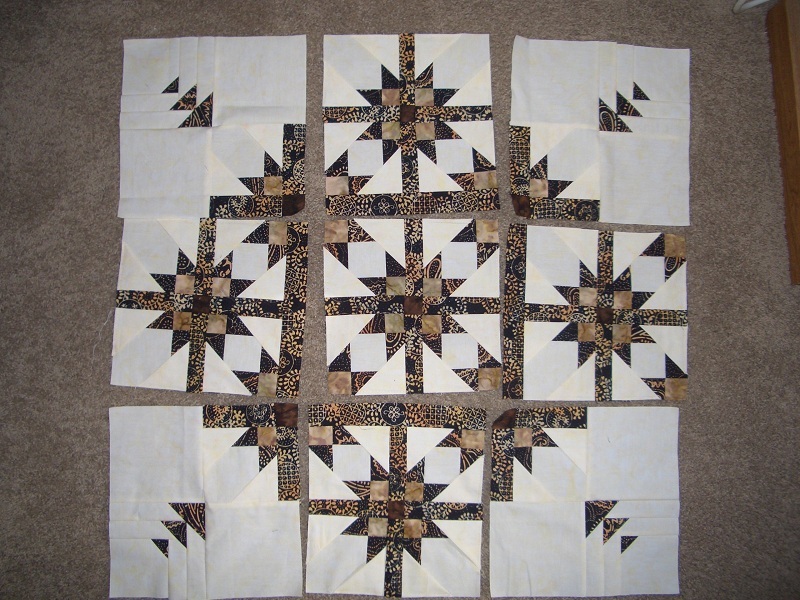 This was a fun quilt and easy to put together. It was a quilt kit from Sew Batik. Still working on the Dear Jane this week also!!! What are you working on this week?? Check out all the other design walls at Patchwork Times. Very pretty! It's going to be gorgeous when you get it all done. 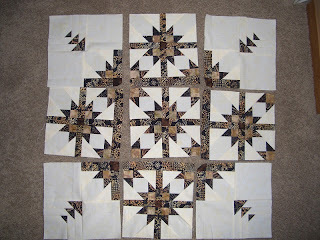 Mexican Stars is such fun to make. I have made two, but I really like your colors. I really like this, great colors, not familar with this pattern, I will have to look into it. Look forward to seeing it completed.